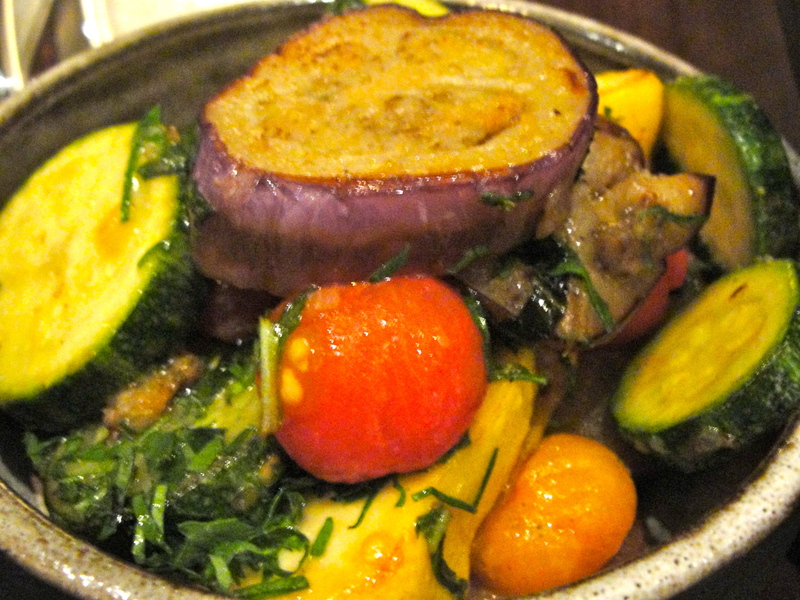 This post begins with a lovely, late dinner at SF hot spot, Frances. Dim the lights, cue soft “yazz” music, and pour yourself a bottle of house wine. it was really my dining partner’s plate of fluffy dream clouds (i.e. 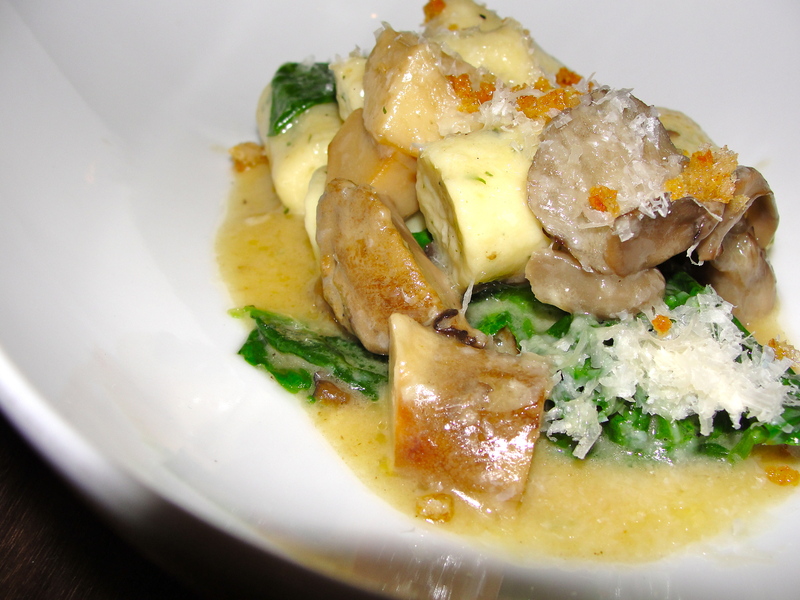 ricotta gnocchi) that had me drooling. Since I try to avoid being the jealous type, I decided that, instead of pouting over my lack of parmesan sprinkles and potato pillows, I would go home and make some myself. So that’s where this post begins, but it is hardly where it ends. As I’ve never attempted gnocchi before, I immediately called on my good friend, Epicurious.com, to teach me the ways of classic technique. I chose two simple recipes – one was potato-based and the other used ricotta – and with the basic instructions of boiling, mashing, mixing, and cooking, I thought I had this one in the bag (or the potato sac). But little did I know that, much like baking, it is very important that you have the right ingredients and the tools to make the gnocchi magic work. Usually, a recipe instructs one to thoroughly boil the potatoes until soft (which I did not do since I only had an hour and so they were still pretty tough) and to mash them using a ricer, a fork, or a potato masher (all things I do not own). Thinking with my ad-hoc chef’s hat, I decided that I would solve this kitchen dilemma by simply putting my half-cooked spuds into my food processor. A quick press of the blend button and I could move forward with the whole operation. The result? A horrible, sticky, glutinous mess. Who knew you can’t “mash” potatoes in a Cuisinart? Apparently most people do, including my friend Max at SeriousEats.com, who advised me to either buy the right equipment or use ingredients like sweet potatoes or gnocchi instead. And since ricotta tends to be quite low in sodium (some brands only having 24mg per 1/4 cup serving, that’s exactly what I did. After cleaning up the potato paste disaster, I took out a new mixing bowl, some flour, and a tub of ricotta cheese. As there was no potato boiling necessary, this version of the Italian classic is much simpler to make and, I think, a better starting point for novices like myself. The result this time? Perfect little ricotta pillows that became even more ravishing when sautéed in brown butter after they had cooked in boiling water. You can’t go wrong with the nutty taste or the slightly crisped texture of brown butter and cheese. And while I do think that this particular batch of ricotta gnocchi was a bit too dense, it was successful enough that I will definitely attempt it again. Maybe I’ll even break out my brand new potato masher next time (thanks k lake) and really go crazy. 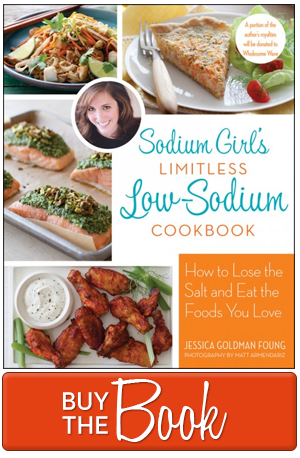 In the meantime, be sure to put away your food processor and buy some low sodium ricotta cheese. Give this recipe a try and make your gnocchi dreams become a reality. And remember, since we are removing the salt and the parm, feel free to add more “exotic” spices and herbs to the mixture: a splash of Banyuls for color; chopped up mint, rosemary, Douglass fir tips, or arugula for bite; some flavored oil for something rich; and even a dash of cayenne or clove for unexpected spice. 1. Stir together ricotta, eggs, nutmeg, granulated garlic, black pepper, parsley, and chili pepper flakes. 2. Add flour, stirring to form a soft, wet dough. 3. Shape dough on a well-floured surface with lightly floured hands into two (1-inch-thick) ropes. Cut crosswise into 1-inch pieces. Layer on a lightly floured baking sheet or other large cooking vessel. 4. 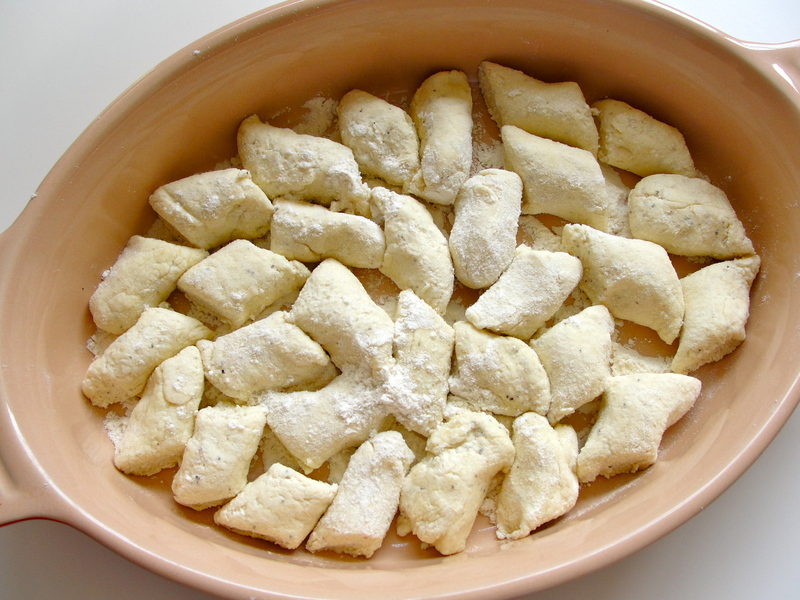 Cook gnocchi in 2-3 batches in a pasta pot of boiling salted water (you don’t want them to be crowded and you want to drop them all in around the same time so they cook evenly. Stir pot occasionally until they rise to the top and are cooked through (cut one in half to check), about 3 to 4 minutes per batch. 5. Lift out with a slotted spoon and drain in colander. 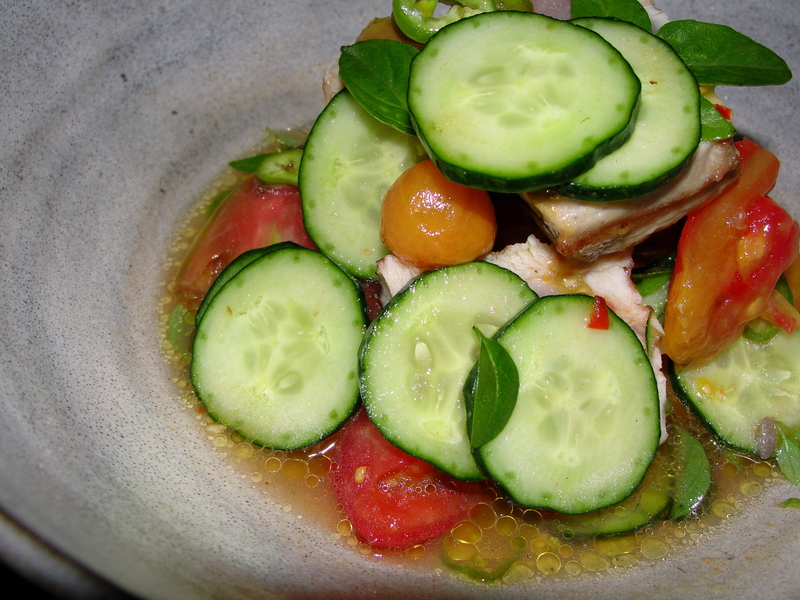 Place back onto a clean cooking sheet or large plate. 6. Meanwhile, melt butter with rosemary in a large pan over medium-low heat until it turns golden brown, about 5 minutes. 7. Toss the cooked gnocchi with brown butter. 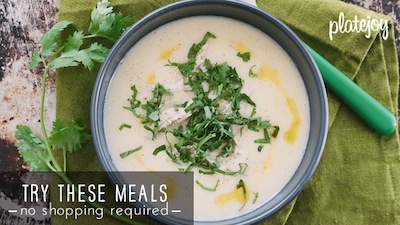 Sprinkle with leftover parsley or rosemary and serve. 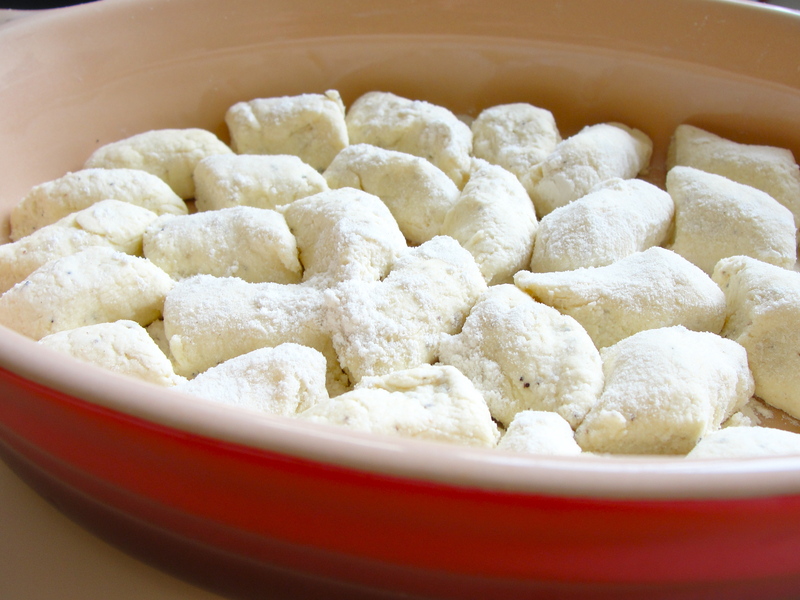 I have made gnocci with potatoes and now I can’t wait to try them using ricotta cheese. Two ofmy grand daughters, ages 11 and 13 have made the potatoe ones so I know they will want to try these. Thanks for sharing. Adorable! Let me know how it goes!